HAOJIN ATTEND 124TH Canton Fair -High tech, High value, High quality, strong eye-catching. HAOJIN Attend 124th Canton Fair --High tech, High value, High quality, strong eye-catching. 15th OCT. 2018, the 124th Canton Fair was held at Pazhou International Exhibition Center in Guangzhou. 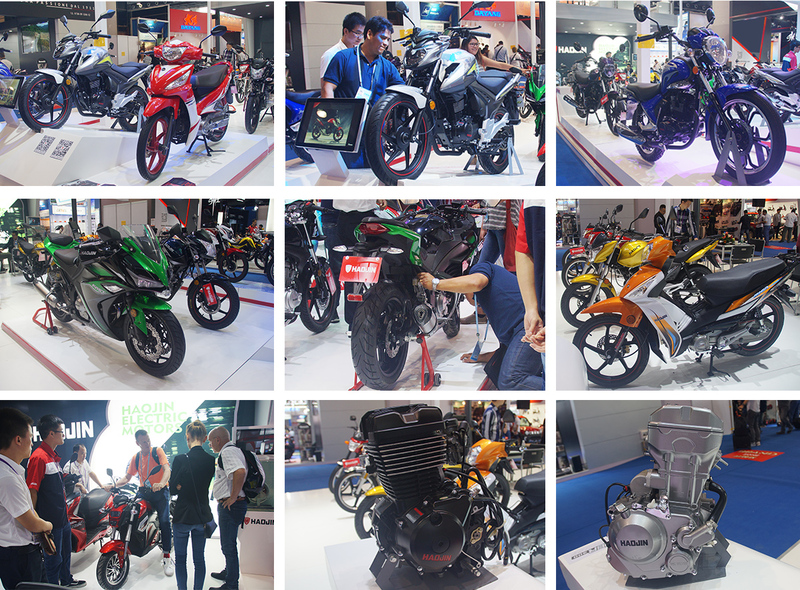 In Pazhou International Center, HaoJin grandly exhibited the latest technology and whole series independent research and development products, including intelligent networking motorcycles and EVOⅡ, others such as newest 300CC Street Model, ARES, ZEUS; Newest GN Models: TAURUS, FABIO; Newest CGL Model RICO, Newest CUB Model LYRA, Newest Electric Models, Waterproof Motor and new upgraded engine etc. Hundreds of visitors were attracted by their stylish and dynamic design, advanced technical functions. 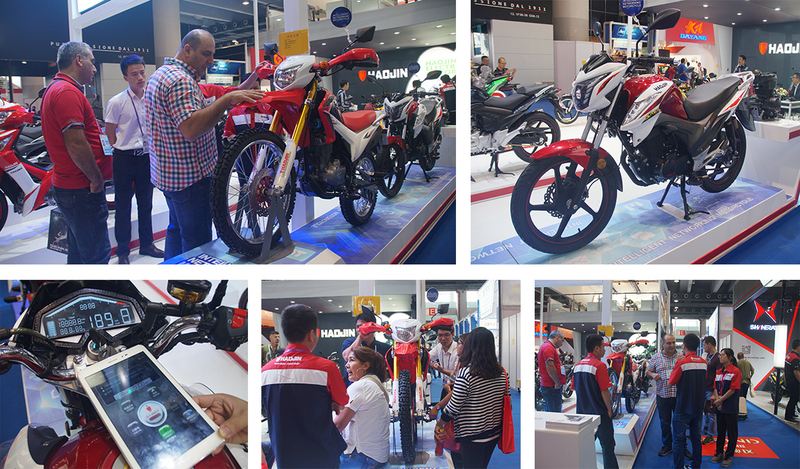 Lots of visitors were very interested and highly appreciated in intelligent networking motorcycles HAWK and ARES. 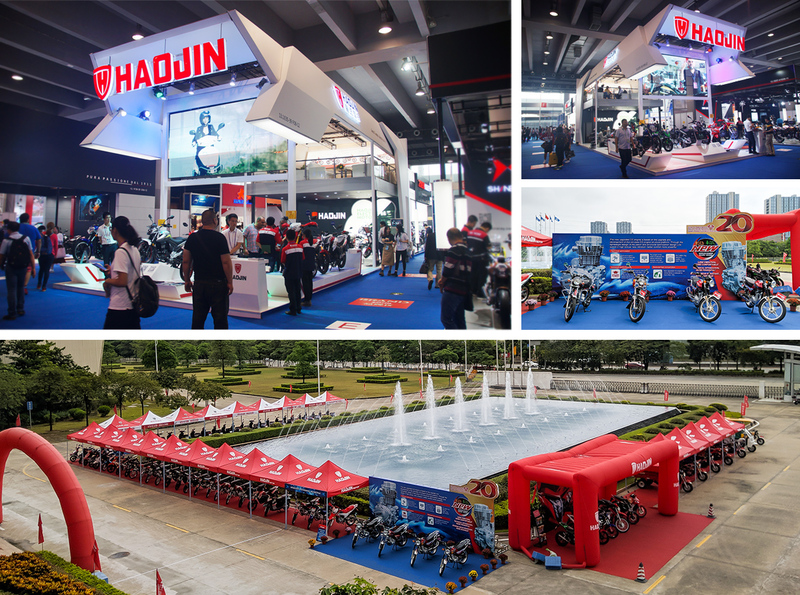 The first exhibition of intelligent networking motorcycles fully shows that Haojin will lead a new height of motorcycle intelligence.